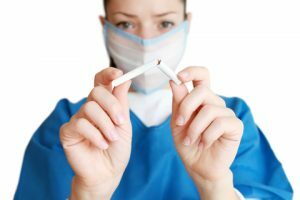 Hypnotherapy for smoking cessation is possible when you use hypnosis to quit smoking. Hypnotist Ian Smith at Quays Clinic in North Shields can help you. Have you always wanted to quit smoking, but it seemed impossible? If you`re anything like the many people in this world who have failed to stop smoking using nicotine patches or other online stop smoking products. You know what it is like to be left feeling a failure. It`s frustrating because no matter how much you try, you can`t seem to stop the cravings. With so many people offering the solution to quitting smoking, it`s basically impossible to determine the best way to give up smoking for good. And if you`re just starting out, looking for ways to quit smoking, this makes it extremely difficult! The big problem we`ve faced to this point is that we had to choose from nicotine patches or to go “cold turkey”. This is why today I am extremely excited to announce that you no longer have the only two traditional options to quit smoking. From today I give you the 3rd option which is hypnotherapy for smoking cessation. Hypnotherapist Ian Smith is an Internationally respected therapist who has helped many of his clients to give up smoking without putting on any extra weight. Let me tell you a little more about Quays Clinic. Hypnotherapist Ian Smith has been running his hypnotherapy practice for over 13 years. Hypnotist Ian Smith has helped many of his clients to give up smoking for good. Check out the amazing hypnotherapy reviews which have been posted online. Quays Clinic is the affordable way to give up smoking. In just one session of hypnotherapy for smoking cessation which is priced at £125.00 you will save many thousands of pounds every year. Hypnotherapy for smoking cessation isn`t just some cheap and gimmicky way to quit smoking. With hypnotherapy to quit smoking you get the best possibility of becoming a permanent non smoker. At the beginning of the hypnotherapy for smoking cessation session the hypnotist helps the client to understand why they are smoking. 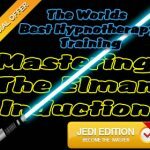 The hypnotist then gives an explanation about hypnosis and hypnotherapy to eliminate any fear which the client has about the process which is about to take place. A discussion after the session where the hypnotherapist gives any further instructions to the client. – Hypnotist Ian Smith with also teach you how to eliminate stress and anxiety symptoms using “Thought Field Therapy” when quitting smoking so that you do not revert back to smoking cigarettes again! Recommend this service to anyone who needs help with anything. Such a great guy and very welcoming. He’s helped people I know massively. I had a great session with Ian with help to stop smoking. Ian is a very nice man who instantly puts you at ease and makes you feel very welcome. Overall it was a very surreal experience for me and I got some very helpful coping techniques and advice. My problem was I smoke when I socialise with alcohol, I’m yet to put the therapy too the test but I feel very confident it will work. Overall I would recommend this service. I went to stop smoking at Quays Clinic because i was recommended by friends at work that Ian Smith had helped them with many different issues. I can honestly say that i haven’t smoked since. Hypnotherapy for smoking cessation is not cheap but worth every single penny. Quitting smoking has saved me a fortune. Been a couple of weeks since my session with Ian, which I found to be really interesting and productive (as I haven’t smoked since!). Ian discussed some very useful techniques and I was very impressed with his approach. Thank you Ian. Hypnotherapy for smoking cessation worked for me. Visited Ian yesterday through one of my friends recommendations who was a heavy smoker and wanted to give up, she hasn’t touched a cigarette since which is fantastic Ian was amazing and knowledgeable he gives you all the time you need and more and This is very valuable to me, I’ve never managed to be fully hypnotized as I have a very strong mind but, his techniques and simple honesty helped me greatly and I was able to be successfully hypnotized, he also is a very good therapist and managed to get to many roots of problems Would fully recommend as it could change your life ‘just do it”. I have specialist qualifications in stop smoking hypnosis, learning enhancement and i am a qualified self-hypnosis instructor. 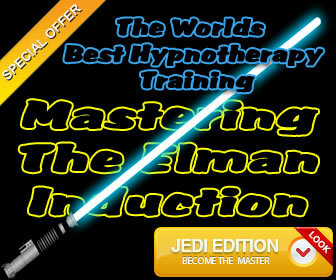 I hold a distinction in clinical hypnotherapy. Let`s be honest, this is an easy decision. As a result quitting smoking using hypnotherapy for smoking cessation, will not only save you a huge amount of money but it might even save your life! Don`t delay making your decision to quit smoking. If you`re serious about stopping smoking then you need to act now! Talk to hypnotist Ian Smith today! You`re going to love it when you use hypnotherapy for smoking cessation to quit smoking cigarettes for good. It`s time to make your dreams a reality. Stop wishing and start acting!